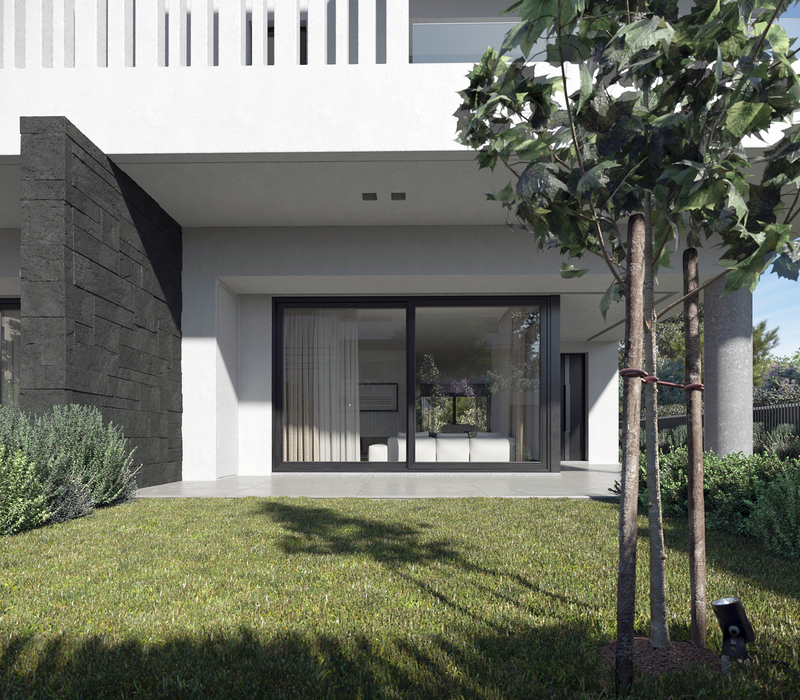 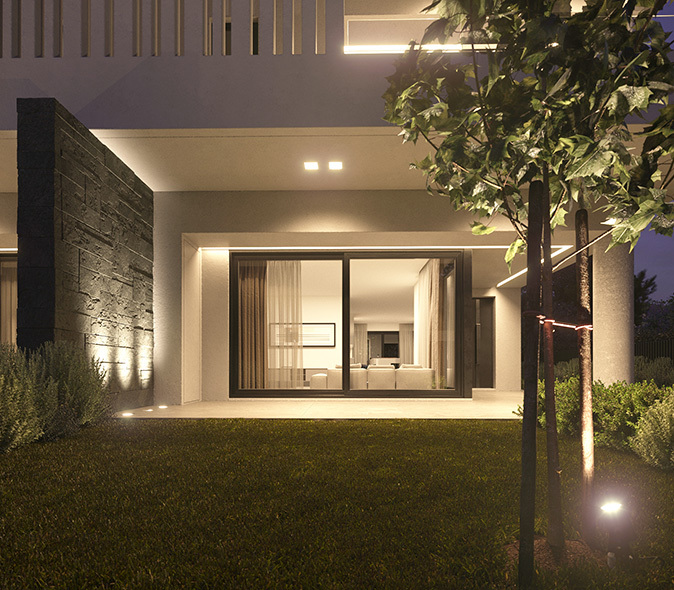 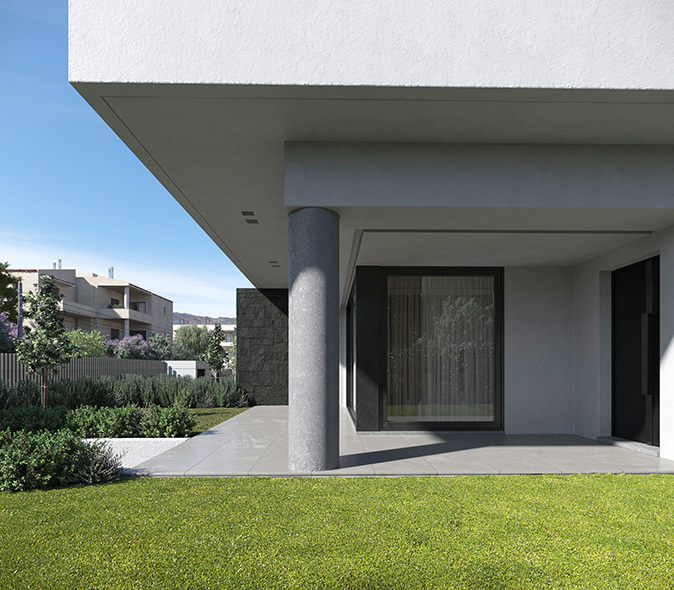 The two residences, spanning 210 m2 each, are located at Melissia, on an elongated plot of land facing northeast. 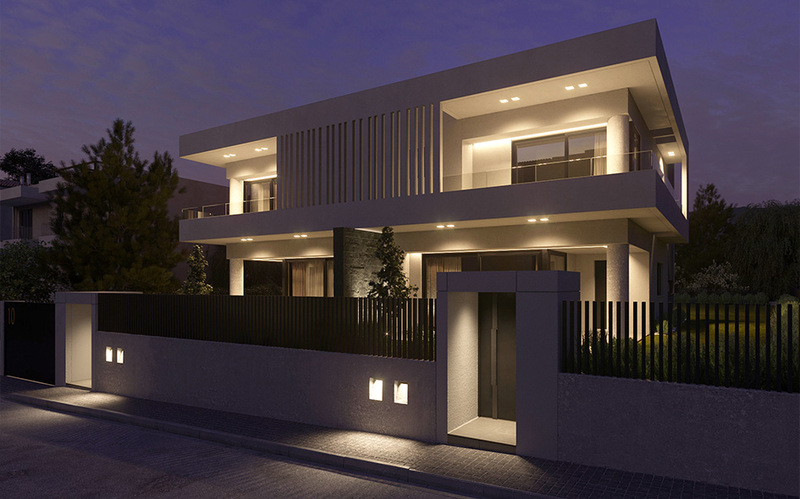 Each residence occupies 4 levels; basement, ground floor, first floor and an attic. 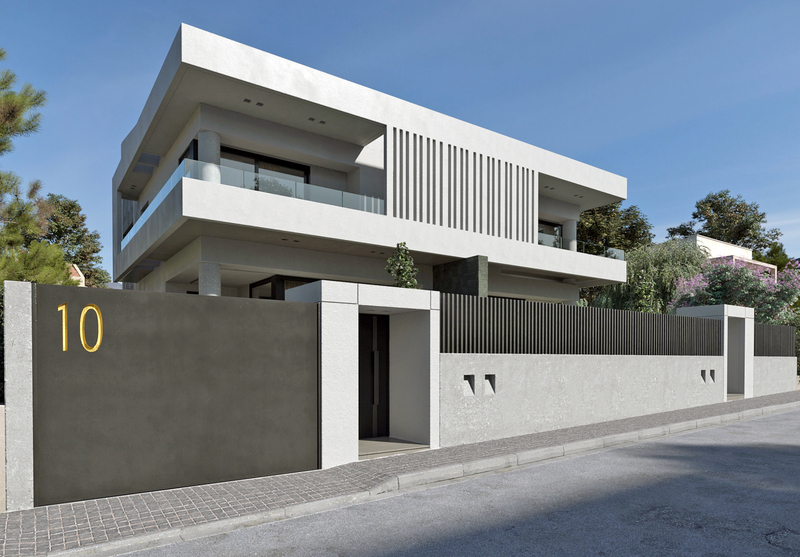 The fluidity of the ground floor is achieved through a free-flowing floor plan that comprises the living room, dining room, kitchen and WC. 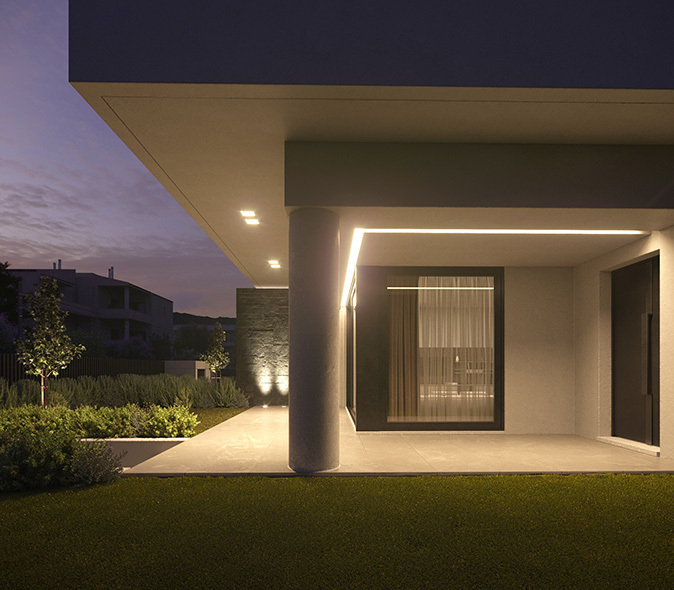 Verandas were also designed extending from these spaces and allowing for outdoor activities on both facades, making the ground floor more extrovert and achieving a visual and functional continuity of the interior and the exterior. 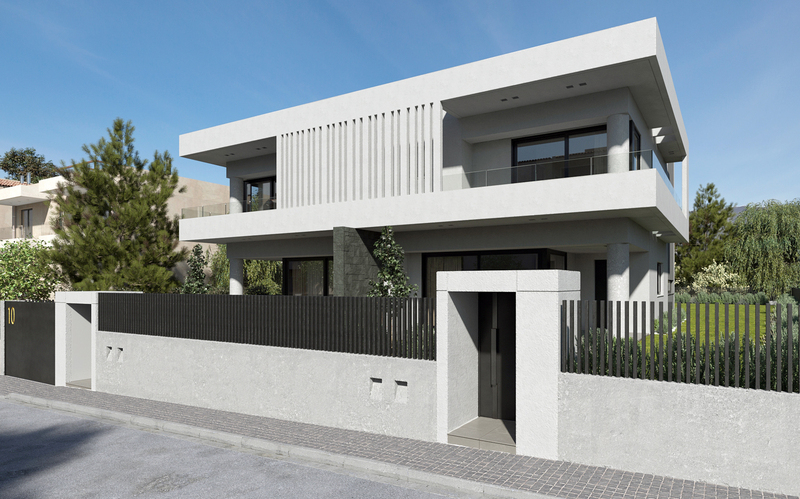 The first floor comprises the master bedroom, equipped with a walk-in closet and an en-suite bathroom, and two additional bedrooms that share a second bathroom. The attic is a multipurpose space that is meant to satisfy the various needs of the families and serves as a living room, office, playroom, home cinema etc. 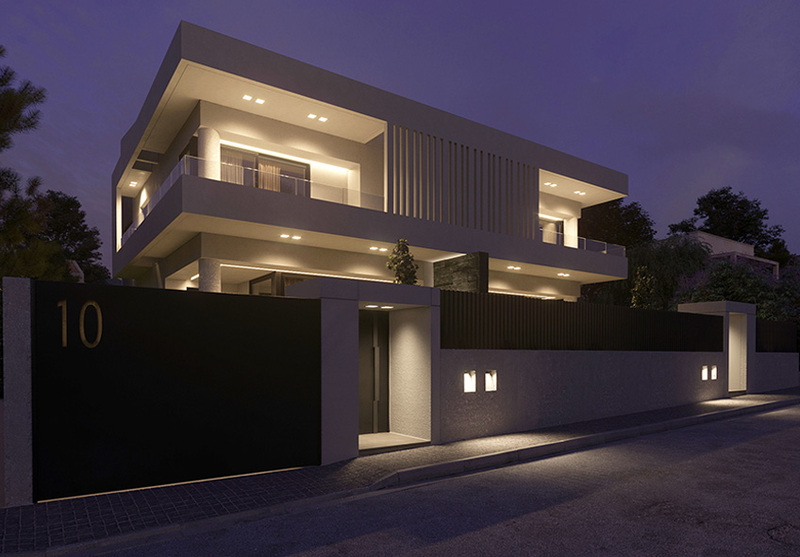 The basement is shared by both residences and is meant to be for secondary functions and used as a parking space. The architectural design of the two residences aims to treat them both as a single composition that achieves fulll formal and functional unity through simplicity and clear volume design choices.